We cover all areas in and around Dorchester! 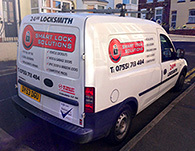 We are qualified, reliable, professional and friendly Dorchester locksmiths, available 24 hours a day, 7 days a week! Our coverage is mainly the Dorchester area and its surrounding towns and villages, but we very often travel to many other places in Dorset. Our work covers the whole of Dorchester, the ancient county town of Dorset, and also the many villages and small towns around Dorchester. I am an independent locksmith, on call 24 hours a day and 7 days a week, so I am always available, plus I NEVER charge a call out fee. 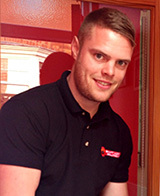 My aim is to be at your home or business in the Dorchester area within 30 minutes. So, if you're in the Dorchester area and are locked out, having problems with your locks, or need advice or help with anything to do with locks or security, just give me a call. I provide the highest standard of service at honest and very reasonable rates, as you can read in my many testimonials from satisfied customers! When you call you will speak to me directly - there are no call centres involved. In my work around the Dorchester area, I always travel with a full range of parts and tools, so I can react promptly to any situation. Non-destructive entry methods are always used first - if I have to use a destructive method I will always discuss it first with you, and there will only be damage to the lock itself. I am registered as an independent locksmith, and I'm NOT part of a franchise or national company. With no middleman involved, I can keep my prices to a minimum. I hold the highest qualification that can be attained for locksmithing in the UK. So if you need a fully qualified Dorchester locksmith with great levels of service at reasonable rates, ring us now on 07551 713484 or 07976 935460. I take great pride in my work and my business reputation, so you can be absolutely certain that you're hiring a reliable service of the very highest quality. All my work is carried out to the highest standard and comes with a guarantee. I wanted some extra security on my property due to theft in the area. I called James to quote me on fitting me a CCTV system. He came out and gave me an estimate and also quoted me on my kitchen window which was blown and all steamed up. The price for both was very good and a lot less than I thought it would be. I got him to do both and now we have an excellent CCTV system and a window we can actually see out of. Handy guy to know. We just moved into our new home and we wanted the locks changed, so we called James. He came and changed our locks on our front and back door. We had no keys to our windows so, while he was here, he changed our window handles for a very reasonable price. He even serviced all our windows for no extra cost. I would highly recommend James and will do to all my friends. I was locked out and called Smart Lock Solutions, he gave the cheapest price over the phone and was with me in 15 minutes. When he arrived he got me in within seconds, causing no damage. Very professional service. The handle went limp on our back door, and it would not lock. We called James as he was a local locksmith. Luckily he had the part he needed in his van. He fixed the lock and even cleaned the door down with a special cleaner, out door locks brand new now. Nice and polite lad. I am a landlord and have several properties around the Dorchester area. I have used James for over a year now. He has done many jobs for me and is very reliable. I am very happy with all the work he has done for me in the past and I will continue to use him.